American soprano Anna Moffo acheived instant stardom with a performance of Puccini's Madama Butterfly for Italian television. Her performance earned her phenomenal acclaim, and with good reason. It was not long before Miss Moffo established herself as a leading force in the operatic world. 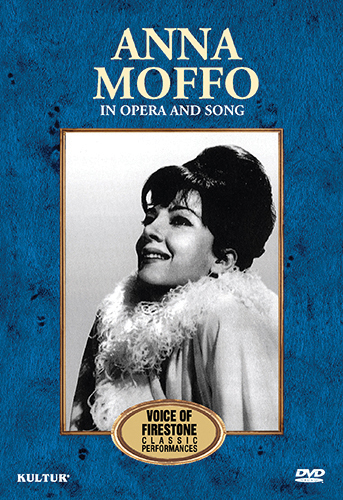 Miss Moffo’s spontaneous and deeply-felt dramatic instincts, supported by her striking physical beauty, brought a rare dimension of realism to her portrayals of the great operatic heroines. 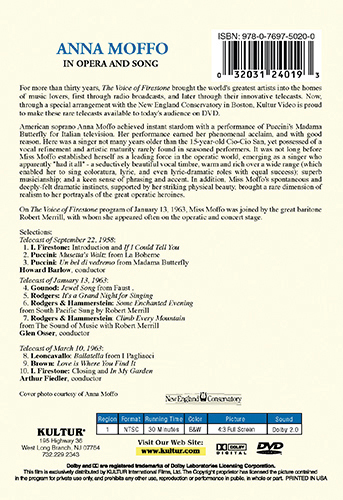 On The Voice of Firestone program of January 13, 1963, Miss Moffo is joined by the great baritone Robert Merrill, with whom she appeared often on the operatic and concert stage.